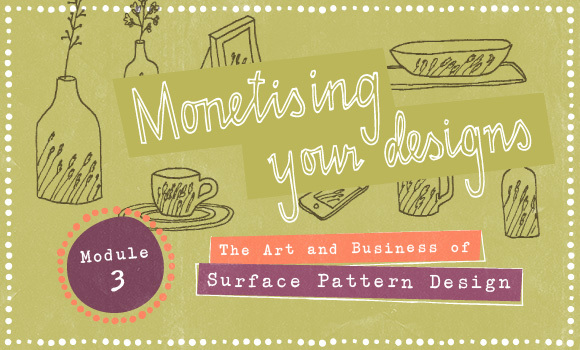 Together with our friends at Make It In Design, we are offering a very special prize to ONE very lucky reader - one free place on the next Module 3 class of The Art and Business of Surface Pattern Design worth £359! Module 3 – ‘Monetising your designs’, is a five-week online course where you will learn everything you need to know to monetise your designs! The classroom is accessible 24/7 so you can join from anywhere in the world, and fit the course into your busy life. The course includes freelancing, licensing, selling outright, manufacturing and more! Module 3 also includes free access to leading trend forecasting siteWGSNfor a limited period AND the Make it in Design little black book of industry contacts! Course alumni have gone on to launch their own design studios, win national awards, be featured in design books, on leading blogs and more. Fancy a bit of this action too? Read on to find out how to enter. 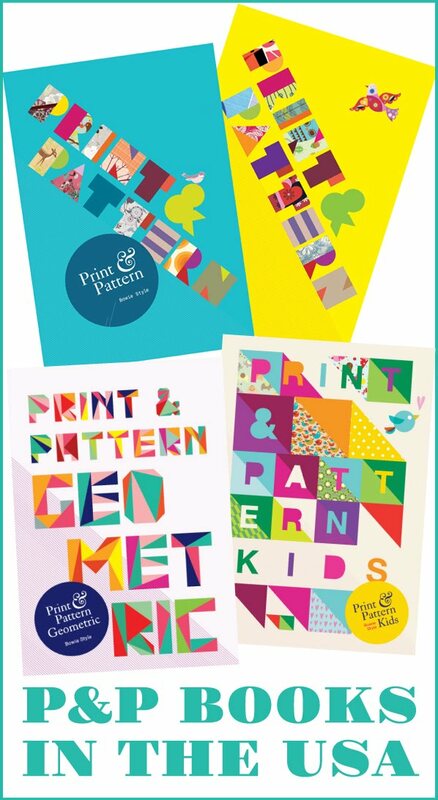 • Invaluable industry info such as colour print specifications for both paper goods and textiles. You will do this by actually creating a mini portfolio for potential licensing clients; a trade show plan and a business development plan. PLUS you will learn everything you need to know about trade shows (getting in, getting ready and getting customers) AND the Make it in Design money-can’t-buy bonus little black book of industry contacts! And if that wasn’t enough, you also get full access to leading trend forecasting site WGSN for 90 days (this alone is worth more than the entire cost of the course! The prize: ONE spot on The Art and Business of Surface Pattern Design – Module 3 ‘Monetising Your Designs’ runs for 5 weeks from September 21 2015, delivered online) How to enter: Check out the course website to find out more about it, then leave a comment at the bottom of the post in 100 words telling us why this course would benefit you right now and how it could transform your career. Deadline: 5pm (GMT) on Friday 18th September. Any comments left after this time will not be counted. The winner will be announced this weekend. I have been working on building my portfolio for the past months and this course would provide an opportunity to further develop my skills while getting invaluable licensing info that will definitely help me climb another step. The trade shows and the access to trend forecasting will also contribute to make this course an amazing opportunity. I have been an Art Director and Designer for a couple of years after school. My job involves working with Illustrator, Photoshop on a daily basis. I always enjoy making pretty things sometimes just for the sake of it, and using design to solve problems. This summer I took some online classes with Make it in Design alumni, and immediately fell in love with surface pattern design. I felt like my eyes were opened to a brand new world. Since then, I have been diligently reading, sketching, making patterns as soon as I have a free moment. I started participating spoonflower challenges, and my second entry made it to top 10. I was so so so thrilled and incredibly encouraged. I got butterflies in my stomach just thinking about working on patterns. In fact, I have talked to my husband and started to make plans to transition to a full time freelance Surface Pattern Designer in the near future. The classes that I took have some overlapping materials with Module 1 and 2, which is very helpful to "getting my foot in the door". As my portfolio continues to grow in the near future, I need to face the question of "now what?". Surface Pattern Design is a new world to me, and I don't have enough business knowledge to kick off the career and break into the industry. Module 3 sounds like a fantastic opportunity for me to learn the business side of design, and really gradually transition to a professional Surface Pattern Designer. It will be immensely helpful to know how to get my work out in the right hands, win clients, as well as network with fellow designers and learn from them. Being chosen to participate in this course would provide me with an opportunity to help inspire others in addition to assisting me with my own career. I am currently a Ph.D. Candidate in Fashion Merchandising who teaches undergraduate courses part-time on assistantship at a state university. Many of my students each semester are interested in design, color, and understanding the technical and business aspects of career options in developing home and fashion products. Since our school does not have a design program and students can not afford art programs, I mentor and advise in student organizations after class so they can learn other avenues in the field of design. Completing Module 3: Monetizing Your Designs will provide me the skills and insight into the industry that I can pay forward. In addition to working with my students, taking the class will allow me to continue developing my career in pattern design and wholesaling. I would like to further develop this career path because it is flexible and doable from a home studio which meets the demands of my research papers and family life including being home for a special needs child while utilizing my merchandising background, and gaining new connections in the industry. I currently freelance working with studios and clients on illustration and design commissions but would love to have the opportunity to study and explore the world of pattern design and licensing. I have started to add this type of work to my portfolio but would really appreciate a course which give hands-on advice and practical support in this area. I have participated in online classes in the past and enjoy the motivation and inspiration that can feed into creating new work and new opportunities. This would be the perfect opportunity to continue to develop my knowledge and understanding in this field whilst also building a pattern portfolio with confidence. i'm not sure my style would fit with here, but the insight would be invaluable and potentially life changing. i'm at a point where i need to push my work to make a living from it. i have a little knowledge here, but to have a class to learn from would really give me what i need to make my dreams more of a reality. i have a huge love of pattern/surface design, and it's been a dream since childhood to have my own designs made into garments/products. to take a step closer to this would mean the world. also, this course would give insider knowledge into taking my career up a notch, and improving my portfolio. I just love print and patterns. After a long time trying to answer the famous question "What do I want to do with my life" I realised that I'd love to be able to create everyday. 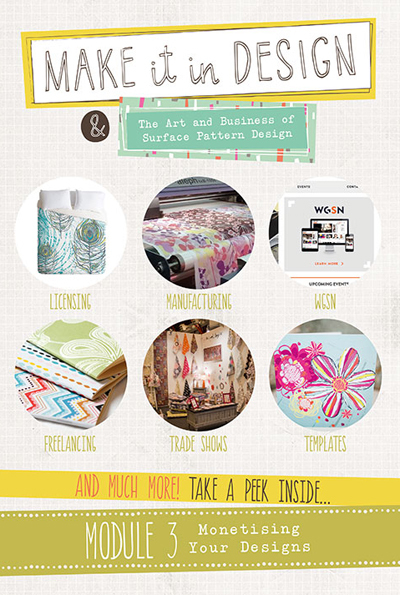 It took a long time to finally be able to say out loud that I want to be a surface pattern designer. I started exploring the fabulous world of patterns out there, I feel that I can too create some beautiful work for people to enjoy.I would love some guidance from experts. I am ready to learn, experiment, grow in the world of design. I have a deep rooted ambition to be a successful surface pattern designer. I feel freedom and joy when I create art and want to share this through my work, to lift peoples spirits. I’m currently developing my freelance print design portfolio in order to build my client base. I have a passion for hand made and traditional processes. I’ve spent time learning batik, block printing and natural dyes working with artisans in India. I’d love to bring my passions together to build a well rounded textile design business. The support and knowledge this course offers would be invaluable. Kia Ora, I am a surface pattern designer based in New Zealand and have recently decided to take the plunge and become a freelance designer since returning home after an exciting four years of living and working overseas as a graphic and textile designer in both London and Melbourne. I have been designing patterns for as long as I can remember and feel that I have finally discovered my own personal style and vision in my work. The next step is to build my brand, start networking and learn the business side of things - this course couldn’t come at a better time for me and could really make my dream come true of becoming a successful self-employed surface pattern designer - thank you for your consideration. Love for pretty things made me study design in a first place. However after graduating, I worked in advertising and slowly lost my passion. Luckily I discovered surface pattern design and I just knew for very sure that this was for me. Since then, I've been designing patterns, reading books, observing around myself and learning a lot from Make It in Design's free courses, challenges, MOYO magazine and newsletters. 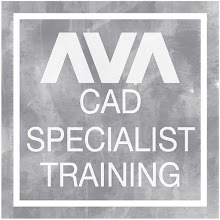 Although I have the technical skills, I lack the business side of things which is exactly what the course offers. It will definitely help me make my dreams into reality. Actually, I studied interior design. 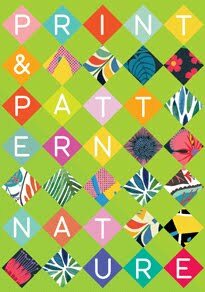 Then I have a cross-entry into the world of design, especially pattern design. 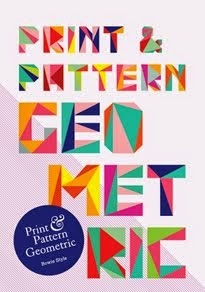 Since some years I’m working already as a pattern designer. To draw every day makes my life completely. 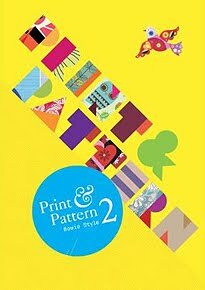 However, I am now at a point, I would love to expand my knowledge and skills in the pattern design area and professionalize more. Through this online course, I could open my eyes to new ways and with a new look to improve my designs. Learn more about the marketing and legal issues in the area of licensing. This course would give me more inspiration for my future work. What comes after 1 and 2? That must be Module 3! Would be perfect and right for me. they colour my world, you see. and the happiest I would be. would help my career take flight. I've been eyeing out this module for weeks now! I've been torn between taking this Module or Module 4 (The Ultimate Portfolio Builder). After some very helpful input from Vic over at Make it in Design, I decided to enroll in Module 4. While I know I already have a commitment to Module 4 starting at the same time as this fantastic prize, I have carved out huge chunks of my time and work schedule to pour as much energy as I can into this. So I know I'd be able to do both with a carefully planned workflow. This is my passion! And this is the direction I want my career to go and where I want to focus my creativity. I have so many creative ideas inside my head and heart and all I need is expert guidance on how to take it to the next level which I know this course will do. Thank you for this opportunity and consideration! I studied Surface Pattern Design in the UK before emigrating to the Netherlands. I have worked English speaking jobs whilst I learned the Dutch language, become a mother of two girls, retrained myself in Graphic Design to get my skills up to date. Its proving so difficult to get paid work in this industry. But here I am today, freelancing from home. Some jobs are not so exciting and some are wonderfully inspiring. I want to learn more how to make more out of my designs. So I can do more of what I love (designing my style) and earn from it too. This course would steer me in the right direction and give me the focus I need to work for! Lets get started! When I first worked in design, I took the opportunity to learn for granted. I fell into freelance work and loved the freedom but took un-inspiring contracts and became demotivated. I then took time off to have children and after nearly 3 years, and two daughters later I've had ALOT of time to think about what I want to do and how to get the most out of my creativity! I've been looking for something to provide focus to all my goals and this course has highlighted everything I need to know and more! Sometimes we hit a point in life where we need new direction and motivation. I have been designing textile designs for over 20 years and I love every minute of it. I have, however, hit this point where I feel I need a helping had to move forward and to learn new skills. If I were to win this course, I would look forward to learning from such a team of experts. I am extreemely interested in finding my way to get the most out of my designs, to find addtional steams of income and to hear new ideas for Freelancing in today's world. After working with children's book illustration for several years I'm ready to take on another market I've been passionate about my whole life: surface pattern design! I've learnt a lot from Module 1 and 2 - and now I'm ready to build a portfolio and contact potential clients. Module 3 is perfect to guide me through these next steps! 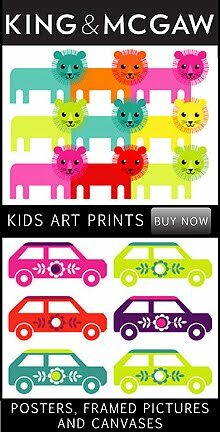 Greetings cards is what I design day to day, but my real passion is creating my own prints which I do in my spare time. I go on pinterest and instagram everyday, to make sure I keep up to date with trends. I'd love to be a successful freelance illustrator one day, and have people recognise my work and be inspired by it. Winning this competition would give me the knowledge and confidence to sell my work. 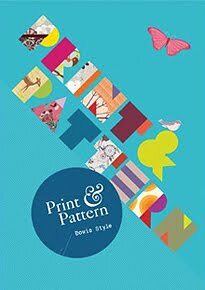 Print design is something that I became interested after taking a textile design course in college. That course sparked my passion for print design and inspired to make this my career. I started to study print design further on my own and practiced creating patterns in my spare time. For me, pattern/print design is the perfect combination of using technology and traditional by hand techniques to create an original piece of art. 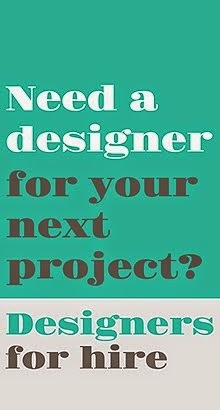 I would love the chance to make a career out of my work and the Make it in Design course is the best place to start. With my heart set on being a surface pattern designer I am confident in creating designs but lacking experience in licensing, freelancing, manufacturing of products and the business side of establishing a successful brand. I am currently working on building my portfolio but feel at a loss when it comes with putting my designs out there. Guidance and help from the course 'Monetising Your Designs' will, I believe, push me in the right direction towards my dream career as a professional Surface Pattern Designer. Watching the branding videos created by Rachel Taylor and Make it in design team have already gave me great advice and inspiration on how to develop my brand. I am thrilled to imagine how invaluable and beneficial Module 3 will be for me and to many others. I’m sitting in my parent’s yard, colored pencils scattered over the grass, the sweet smell of lilacs and Jack Pines mingling with compost from the garden, sketching flowers. 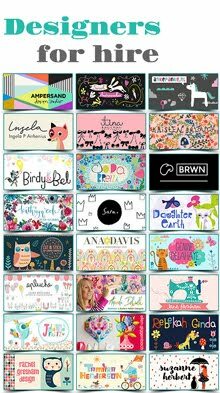 Years later, I’m a parent of two with a growing business where I still happily paint and sketch to create beautiful patterns, illustrations and art. 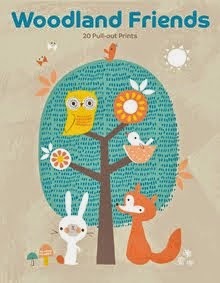 I’ve had much success with Spoonflower sales and am regularly approached for my work. The next step is learning the skills needed to expand from POD sites, confidently find/approach clients and negotiate contracts, all while connecting with a creative community. This class has everything I need. I have actually been coveting this class for a long while now! 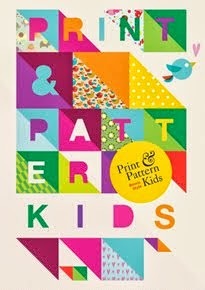 I am a designer who absolutely loves pattern and illustration and I have a strong desire to go freelance full time. As much as I love designing, there is so much more to doing freelance and I would love some guidance and knowledge on the business side of things. I am taking on a lot more freelance clients lately and know with the right information, I could take my career to the next level. This class sounds like the perfect place to do all that! Thanks so much! What an amazing opportunity this would be!! My absolute dream would be to work freelance and license my art to the companies I truly admire. I know I have the skills and ideas to create unique and appealing designs, but I'm just not sure where to go from there. This course covers all of the important factors such as licensing, negotiation and business management- all the things that seem so shrouded in mystery to the inexperienced. This would give me the confidence and inside knowledge to finally approach my heroes and hopefully start a whole new chapter in my career! I come from India where we have a rich heritage of surface pattern designs with crafts like block print, tie-dye, embroidery, etc which have inconspicuously fueled my love for patterns. A textile design graduate and mother of three my artworks are waiting to escape the confines of paper and computer. This online course will give me the right dose of mentoring, guidance and support needed to take my existing array of work to the next level. I want to create visual narrations of the world around me and this course will (hopefully) be my golden ticket. To me this means... opportunity adventure clarity energy desire purpose progression change experience direction hone control movement breathing positivity fun growth punch evolution pleasure vision development inspiration joy involvement fulfillment success proaction freshness sanity depth enjoyment power achievement newness creativity flourishing promotion thriving encouragement expansion blooming breakthrough boost assistance freedom hope opening perspective unfolding maturation confidence sharpen statement mission passion animation potentiality ambition oomph improvement elevation buzzing blessing connection reach transformation flowering range strength dedication excitement action sparkle dynamism vision possibilities aspiration zest! How would this course benefit my career? All of the above!! Hello! I've recently graduated having studied Surface Design at university, and even got to exhibit at New Designers where I got loads of great feedback! I've always had ambitions to run my own business and become a freelance designer. Although I've just finished a great course that has fuelled my creativity and passion for fun and playful design, and equipped me with a fantastic range of skills! I still feel held back, due to my lack of experience in the industry. The opportunity to take part in this course would be an amazing to get started! The knowledge and support, as well as working alongside like minded individuals, will help empower and fill me with the confidence I need to get myself out there! I'm feeling excited!! I graduated with a Marketing degree last year, secured a 9-5 job and quickly learnt it wasn’t for me. I dreamt that I could do something I LOVE for work that made me HAPPY, so I invested in Module 1 & Module 2! I left my job in June to pursue my dream but no income means I can’t commit to Module 3. I’ve got creative ideas and marketing know-how but what I lack is the knowledge to sell/license my designs, freelance & negotiate contracts. Module 3 would help me turn my big dream into a successful business! This summer I fell in love. I was introduced, for the first time in my life, to pattern design through a Skillshare course by the lovely Bonnie Christine, and I was hooked. I do graphic design and photograpy for a living, and I really feel I have found natural way of combining my two skills and my dream of having my own product collection, when creating pattern designs. After working hard on my newly found love this summer, I now have a complete portfolio with two pattern collections, that I'm very proud of, and I'm eager to figure out how to get it out into the world. I have no knowledge of this industry, but I feel that MODULE 3, would do a great job at giving me a base, and the courage to help push this love of mine forward. For a longtime I felt something was missing (I'm a professor of mathematics). I was always doing some crafty projects and then I found out about surface patterns and now I feel calm, peaceful. I found my thing :) This course will help me get to the next level-how to get clients and sell my designs.